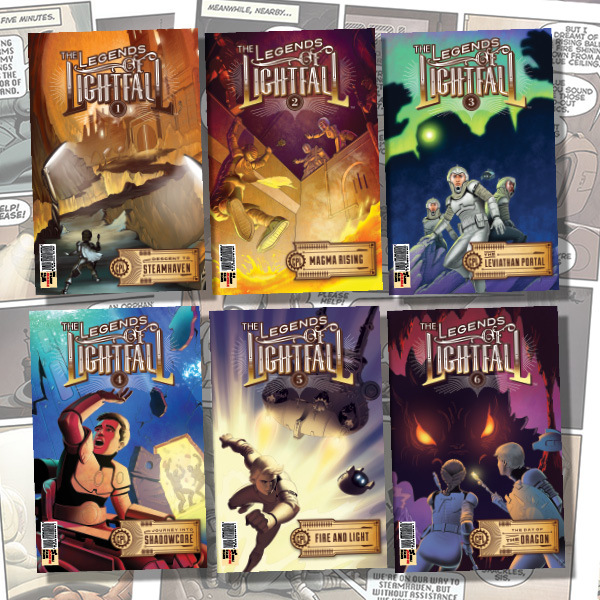 In this incredible bundle deal, you will receive all 6 comic books. 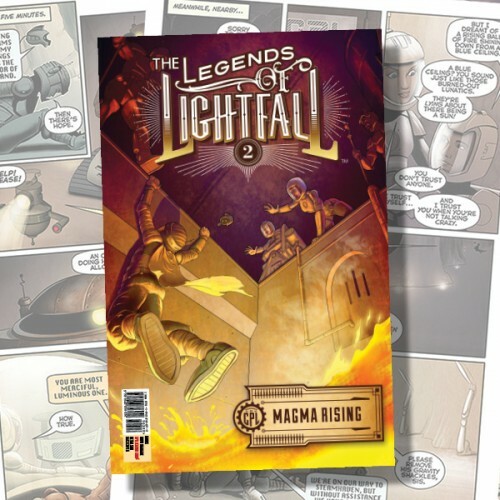 For the young at heart, explore The Legends of Lightfall, an incredible storybook that begins in a land of deep shadow and peril, controlled by the Council of Power and Light. 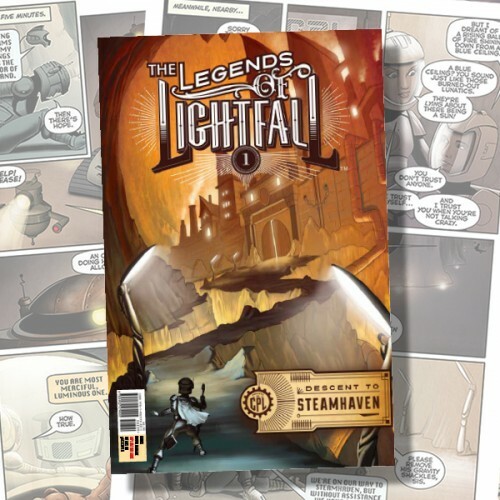 Join our hero’s journey with Kort, Sofia, and Treads, as they travel to Steamhaven, while battling Marauders, Copperwings, Power Pirates, and Lightstalkers, to reach their destiny. 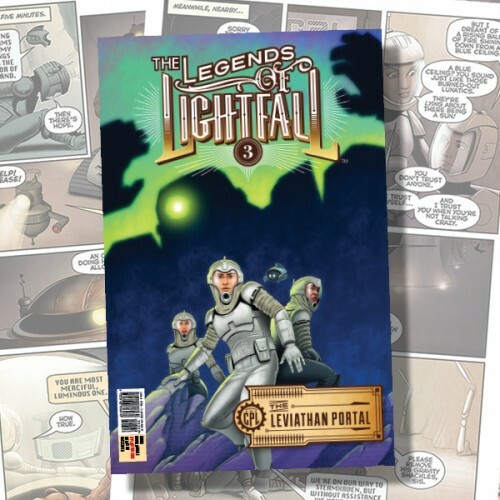 The Legends of Lightfall is an experience beyond! 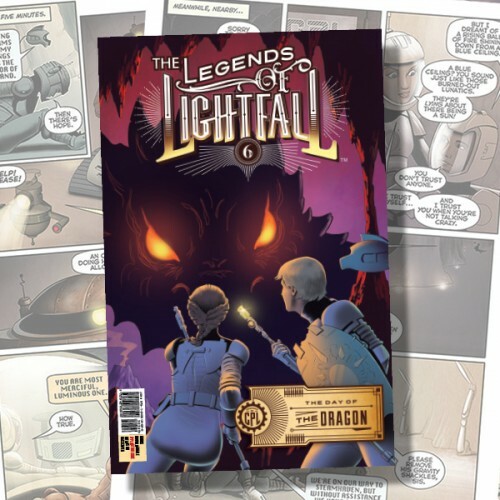 When you order The Legends of Lightfall, you will also receive a free download of The Legends of Lightfall Application Guide (10 pages) for each corresponding comic book. Each guide is designed to engage young readers and equip families, teachers, and leaders with biblical truths to help children grow emotionally and spiritually.